Helping Hands | Rockwall Rocks! Just want to offer congratulations to Rockwall chiropractors Drs. Keeston Waters and Dave Engleken who are stepping up to offer free treatments at their Pro-Health Chiropractic Clinic in return for bags of food donations to Rockwall Helping Hands, where we’re told the cupboards are bare at Thanksgiving time. Read more about it at TheRockwallNews.com. Hurry to get an appointment before the offer ends Nov. 21! Helping Hands emergency services agency has issued a plea to Rockwall County residents to please donate cash and food pantry items immediately to help Hurricane Ike evacuees who came to Rockwall to escape the storm and are now stranded here without the necessities of life. “Please consider making a donation to Rockwall County Helping Hands and help the agency to continue assisting hurricane evacuees that have come to our community. The Food Pantry shelves at Helping Hands need restocked and financial donations are always welcomed. In two days, the agency assisted 155 hurricane evacuees in 45 families with 175 bags of food, $1,060 worth of gas cards and 36 vouchers for the Thrift Store to get clothing and houseware items. The Health Center of Helping Hands is also aiding evacuees that need prescription refills and those that are sick. Today the stories are a little sadder because people are getting news about the devastation and delays in getting back home. FEMA is putting people in local motels for extended stays, and some may qualify for emergency food stamps. Helping families get through this awful time until they can get back home is our primary goal. The generosity of Rockwall residents always makes our job easier. 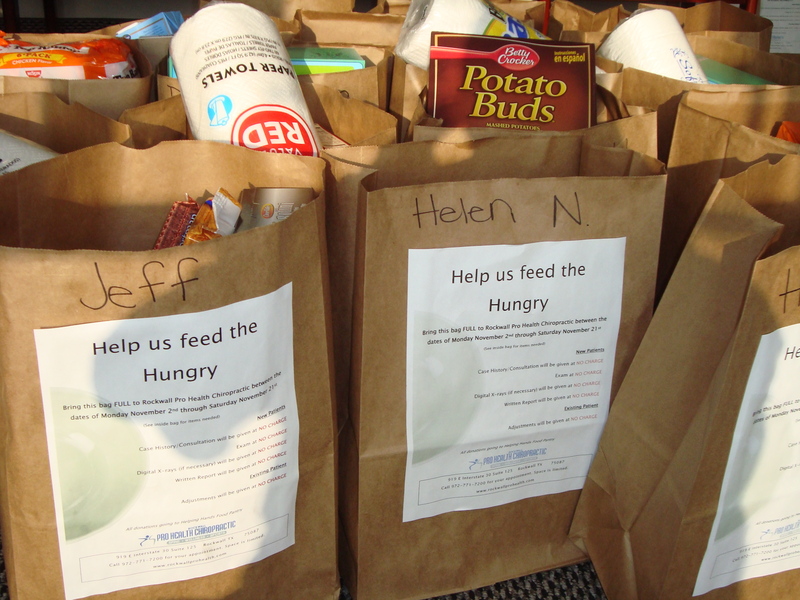 Food may be brought to the Food Pantry at 950 Williams St. (SH-66), Building A from 9 a.m. until 4:30 p.m.
To make a donation, please call 972-771-HELP or visit our web site at http://www.helpinghands.com. Helping Hands is the main critical assistance agency that has served the Rockwall community for more than 30 years. The Rockwall Helping Hands relief agency is planning a Fall flea market Oct. 25 as a fund raising opportunity for other non-profits, churches and civic organizations. The only cost for a booth is $50, which will be used solely to advertise the event. Groups will then be able to keep any profits they earn. To register or for more details, call 972-771-4357, ext. 7 or e-mail melodyeast@rockwallhelpinghands.com.